Feeling lit up as a Coach but lost as a Business Owner? Being a coach and being a successful business owner are not one and the same. In fact these two roles require completely different skillsets. Most coaches worth their weight invest a ton of time, energy and money into developing their coaching skills; they study coaching, read about coaching and practice coaching. What the vast majority of coaches don’t do is invest the same amount of time and energy into becoming skilled as a business owner. The bad news is that unless you can love the business side of what you do as much as you love the coaching side, you are going to struggle to make a decent living as a coach. This is why we see so many good coaches barely making a dime. We are two coaches who decided to answer a calling to support other coaches to fall in love with business and finally achieve the success that they’ve been yearning for. We’ve hosted a three-part online workshop series called, The Business of Coaching, and its goal is to take the guesswork out of what you need to do to build and grow a successful coaching business. So, if you’re tired of spinning your wheels and feeling overwhelmed and unproductive, this three-part workshop is for you. 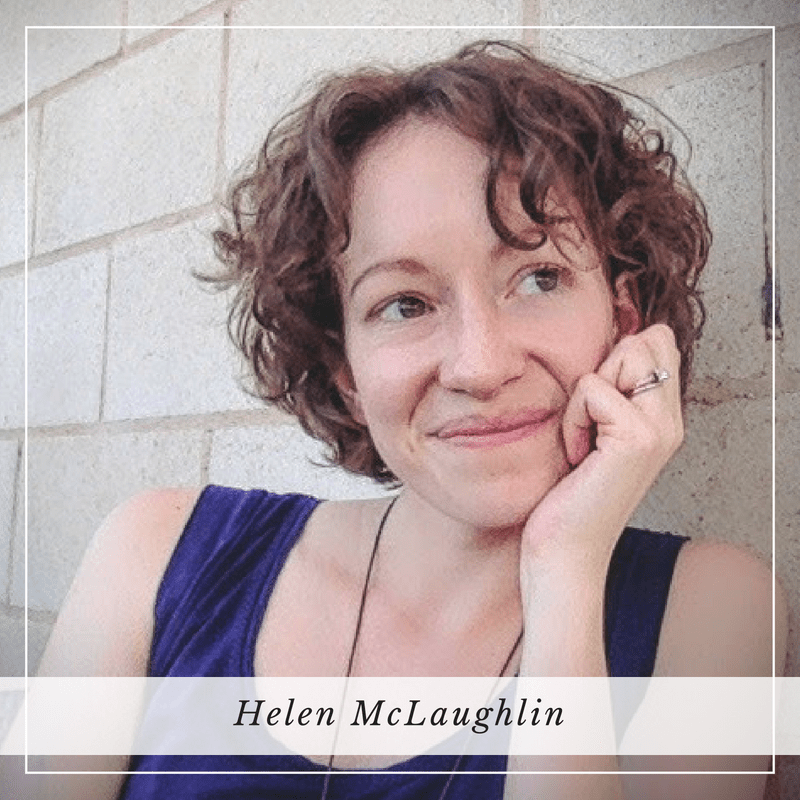 Helen is an action-oriented life coach who works with thoughtful folks going after Big, “Impossible” Things in their lives. We are Helen and Caroline. We are full-time coaches, in love with our businesses, and passionate about helping others to find success. We’ve stood where you stand now. We’ve battled with self-doubt, overwhelm and analysis paralysis, and we’ve lived to tell the tale. Caroline is a conscious business coach who specializes in helping driven and ambitious female entrepreneurs to change the world. Both of us come to The Business Of Coaching having started our own coaching businesses from the ground up. We’ve been where you are, we know your pain and we know that there is a better way. We take our combined years of experience, trial and error, mistakes, and successes and we share everything we know about building a coaching business with you. We’re here to help you navigate the murky waters of business building and arrive at your destination with clarity and competency. We’ve found a strategy that not only works, but that feels good to execute. It does away with the treadmill of trying to beat social media algorithms and it frees you from needing to create the perfect website (does such a thing even exist?). It can feel soul-destroying to have finally figured out your calling and then done whatever it takes to become a coach…only to feel like your efforts were for nothing because try as you may, you’re not getting the clients you would need to make this business financially sustainable. In an attempt to demystify the business of business, you spend countless hours on the Internet, soaking up everything you can about how to succeed as a coach. You sign up for opt-ins and webinars, you take course after course and the thing is, there’s different advice at every turn. It’s all about your lead magnet and the size of your list, say some; others will tell you that Facebook Live is where it’s at; having a beautiful and cohesive Instagram feed is the way says another. There’s so much advice online these days about how to build and grow your business that it’s no wonder you feel completely overwhelmed and left with no idea of which way to turn. Without a clear strategy for success (and one that feels good to your soul), you end up feeling like your wheels are spinning in mud. Sure, you’re doing stuff—but you’re not getting anywhere to show for it. You resort to killing hours on your website, tweaking fonts and reworking your ‘About’ page again to make it seem like you know what you’re doing. You while away whole afternoons creating Pin-able graphics for the two of three blog posts you’ve managed to write (blog posts that took FOREVER to scheme up…and aren’t even all that indicative of the kind of coaching work you want you do). And you wait and wait…and wait for someone to click and book that dang discovery call, half hoping that nobody does because you have no idea what you would say or how the whole thing should go or when (HOW?!) you’re supposed to talk about money and what you should be charging anyway! Sound painfully familiar? Don’t worry we’ve got you covered. The Business of Coaching walks you through the very strategy we use to build and grow our coaching businesses every day. It’s a strategy based on a foundation of service and connection rather than persuasion and hustle. It’s a strategy that is rooted in integrity, that’s sustainable to implement, and one that does away with the icky sales strategies so often touted online. Over the course of three 90-minute online workshops, we take you through the nuts and bolts of what it takes to build and grow a successful coaching business. Combined with this you’ll get access to a 60-page, detailed guidebook that captures everything we share in the workshop (and more! ), so that you can refer back to it anytime you like. You have absolute clarity on what actions you need to take on a daily, weekly and monthly basis to build and grow your coaching business. Overwhelm is a thing of the past. Your calendar is pretty darn well full of coaching calls (and not just any coaching calls—coaching calls with clients you can’t wait to talk to). You’ve put in place specific business foundations that allow you to show up powerfully as a professional coach. You no longer feel lost in a marketing abyss; instead, you have a clear and specific strategy to create new coaching clients. Gone are the days of talking to crickets online. You now enjoy the business side of coaching. You’re empowered as a business owner and finally feel like a professional to be trusted. Your bank account actually reflects the amount of work you’ve put into this thing. How did you get here? You learned about the business side of coaching—all the hard-won tips, tricks, best practices, and know-how that most seasoned coaches wish they knew at the beginning of their journey—and you learned how to apply it to your business. Which specific actions you need to take on a daily, weekly, and monthly basis to get a steady flow of coaching clients enrolled in your packages and programs. Which business tasks you’ve been wasting your time with and can let go of with confidence. What the foundations of a successful business are and how to put them into place. How to shift your mindset from “selling” to “serving,” thereby allowing you to enjoy your business more and create even greater impact for your clients. How to have enrollment conversations that don’t require you to hard sell, ones that actually leave your clients wanting more from you. How to show up powerfully in your business in a way that sees you stand out from other coaches. How to astonish your clients so much that they tell everyone they know about you. How to achieve more in your business by doing less. The low-down on coaching niches—and whether or not committing to one is necessary for your business’s success. Sustainable and effective systems and processes, templates and tools, for everything from growing your audience and generating new leads to gathering testimonials and scheduling. How to set up powerful agreements with your clients so that they get the most out of your coaching program. The system for identifying your ideal client, even if you’ve never coached anyone outside of your coaching program (and what to do if you find yourself working with a less-than-ideal client). Best practices when it comes to websites, business cards, and all manner of marketing. A strategy for when and how to have the money conversation, recommendations for what to charge for your services, and why you should challenge the ‘yes’. Mindset support on self-doubt, readiness, money, and overwhelm. Along with a dynamic and extensive resource document for you to refer back to whenever you wish, all of this is covered in five hours of video training (split into three 90-minute workshops, all of which are available as both video and audio recordings). To gain the know-how and confidence needed to succeed at the business of coaching? Well-worth the price of admission. Only $130 USD for everything listed above. I’m already getting some clients and have been in business a while, will this workshop be able to help me? Yes, what we teach in this workshop is applicable both to absolute newbies who’ve never made a sale, right up to coaches who have enrolled a few clients but who need to get much more consistent results to make their business viable. I’m not currently working full-time on my business, as I need to keep a job to pay my rent and bills. Will I have time to implement what you teach in this workshop? Absolutely. While it may take you longer to get the results that someone who’s working on their business full-time could, what you’ll get from this class are clear and actionable steps you can take on your business whenever you have space to work on it. The key here is that what you learn will make overwhelm a thing of the past, so that whatever time you do spend on your business will be focused and productive. No more falling down the Internet rabbit hole for you! Will I still be able to get results if I hate sales and marketing? YES! This workshop series presents a way of growing your business that’s different to what you might have heard before. It focuses on creating clients rather than attracting them, and it reframes marketing as connection. What makes the contents of this workshop different from the free advice I could get online on how to grow my coaching business? We believe our approach is one that bucks many of the trends prevalent in business advice for solopreneurs. The content of our workshop caters specifically to the business owner who cares about her audience and clients and who wants to come from a place of service. We teach you ways to run your business rooted in integrity and give you plenty of alternatives to the pushy and manipulative sales tactics so commonly used these days. Additionally, we bring the whole picture of what it takes to build your business to the table in one easily digestible and interactive format. If I decide to buy, what happens next? When you hit the BUY NOW button, you’ll be directed to a payment page where you’ll input your personal and credit card information. Once you submit that information and your payment clears, you’ll receive an automated email with the links to the video and audio recordings for each of the three 90-minute workshop sessions, along with the link to the 60-page guidebook.